Stool Container are used for collecting stool samples. The cap is provided with a spoon like structure that proves helpful in lifiting samples. 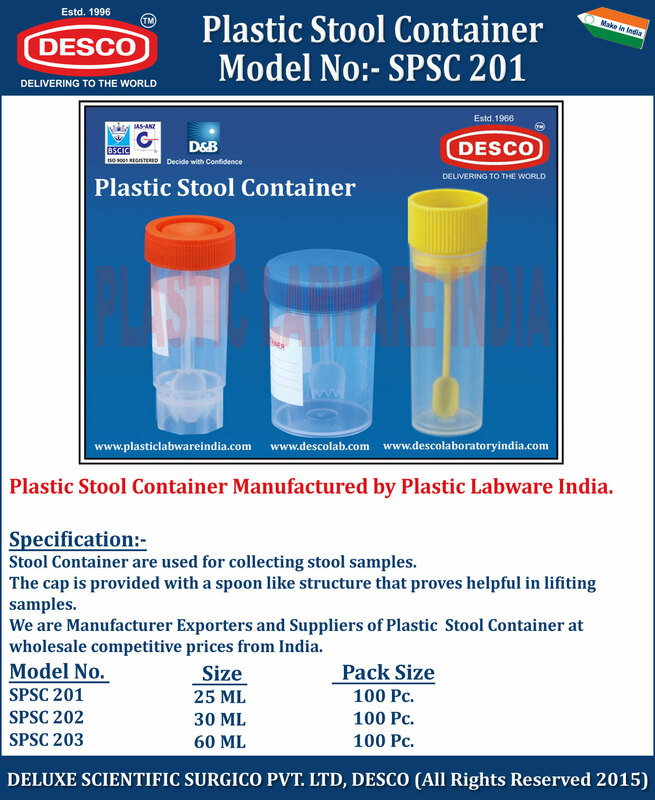 We are Manufacturer Exporters and Suppliers of Plastic Stool Container at wholesale competitive prices from India. SPSC 201 25 ML 100 Pc. SPSC 202 30 ML 100 Pc. SPSC 203 60 ML 100 Pc.